The autumn is the perfect time to get outside and go on an adventure in the British countryside before the weather turns for the worse. In this guest post Catherine Allan, the Tour Development Executive from leading UK walking and cycling holiday specialist, Macs Adventure shares five of the best locations in rural Britain to seek out during an activity holiday. An activity holiday can be a great way of gathering a group of your nearest and dearest and having some fun out in the fresh air. But, with so many wonderful places to visit, it can be difficult to know which are worth visiting and which aren’t. Britain continues to be a popular option for both tourists and residents, who commonly head to holiday hotspots like the Cotswolds and Cornwall every year. Despite this, there are still plenty of undiscovered treasures in Britain’s most visited locations. So, if you’re looking to make your activity holiday memorable and unique this year, look no further than my guide to the top five British hidden gems. If you’re an avid walker, Cornwall is the place to be. With popular routes heading to coastline paths, the county is a scenic favourite, loved by many. However, there are still many treasures yet to be discovered. Nanjizal beach is so well hidden that you can only access it from the South West Coast Path from Land’s End heading northbound, or Porthgwarra heading southbound. If you’re sticking to walking, the route to land you at Nanjizal beach will be plenty for your eyes to take in. 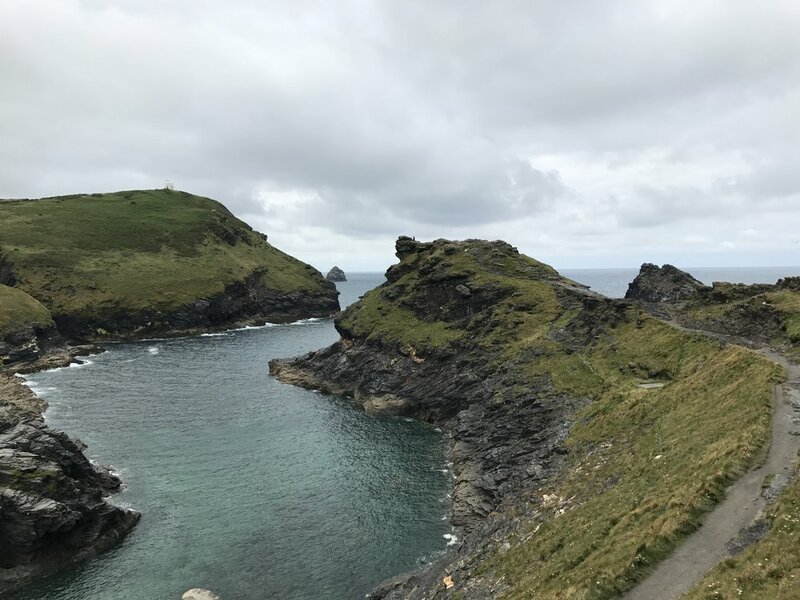 With rolling hills, fields and farmlands greeting you on your way through the Coastal Path, the hour-long walk to Nanjizal will top off your scenic walking route perfectly. And, as it’s worlds away from the many densely populated beaches Cornwall boasts, you can take the quiet as an opportunity to strengthen your swimming, or to practise your surfing skills. With the towering Mourne mountains and summit of Slieve Donard being the highest point in Northern Ireland, the landscape itself is hardly a secret. However, many people are unaware of the Mourne Wall which stands at three metres high, obe metre wide, and runs across 17 mountain peaks, finishing at the summit of Slieve Donard. Unquestionably the best long walk in the Mournes, your trip to Northern Ireland won’t be complete without tackling the Mourne Wall. As a highly challenging route, this one will require some dedicated training beforehand. It can be a strenuous and tiring walk, but the views from the top will make it all worth it — particularly if you go on a clear day where Belfast, Dublin and coastal views will welcome you in to admire them. Heralded as one of the most beautiful places in Scotland, this 51-mile-long trail offers walkers a mixture of lochs, mountains and a wonderful selection of forestry to take in. Protected as a National Nature Reserve, this woodland-rich environment is particularly important for catering for wildlife. Although the main route is accessible to everyone, there are some higher points in the trail that advanced walkers can tackle. And with some well-hidden treasures like Plodda Falls — a cascading waterfall — yet for you to uncover, you’re sure to have a memorable trip. With the Wye Valley having the most castles per square mile in Britain, this area has already proven popular among history enthusiasts. So, why not make the most of your trip here and experience all the land has to offer, including its hidden gems? Coppet Hill can be found in the depths of Wye Valley, an Area of Outstanding Beauty, holding an understated yet worthwhile walk to complete. Calculated at over 100 hectares of land and defined as a Local Nature Reserve, Coppett Hill mixes woodland and open hillside, with plenty of stunning plants and flowers lining the way, making it suitable for walkers of all abilities. However, due to the attempts to preserve this area as much as possible, this trail is only permitted for walkers. So, set the wheels aside and get your walking boots at the ready. Let your bike be your guide along the most beautiful hidden gem the Cotswolds has to offer. Stretching across a three-kilometre length, it combines both easy and difficult elements to provide one of the most exciting rides you’ll take. A two-mile climb from Tysoe, the hill naturally gets steeper as you head towards the summit, making it great for intermediate cyclists wanting to push themselves further. However, it’s the smooth descent that attracts visitors, offering easy and relaxing riding so you’re able to take in the extensive view — and worry less about clutching onto the brakes. Britain has many hidden gems that both visitors and residents are yet to discover. Challenge yourself on your next holiday with one of my top five locations and uncover some of the wonders Britain has to offer.